Within Teamwork Projects, you can move or copy tasks to another project. When hovering over a task, click the down arrow to the left of the task name to reveal the task options. From the dropdown menu, select Move or Copy. In the task modal, you can choose to copy the task from the Move or Copy dropdown. You will then be able to select a destination project and task list for the task. You can also choose whether to include any completed subtasks. Note: Any time logs and comments associated with the task will not be copied over to the new task. Any attached files and privacy settings will be copied to the new task. In the task modal, you can choose to move the task from the Move or Copy dropdown. 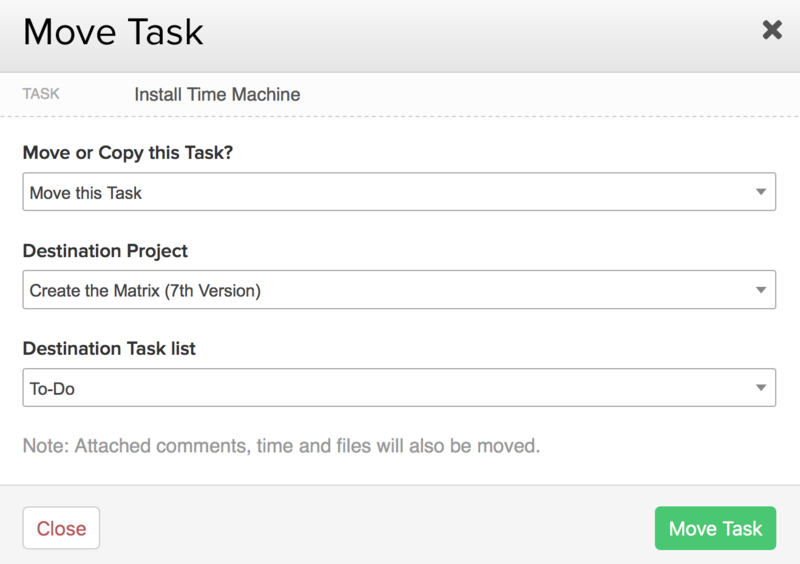 You will then be able to select which project and task list you want to move the task to. 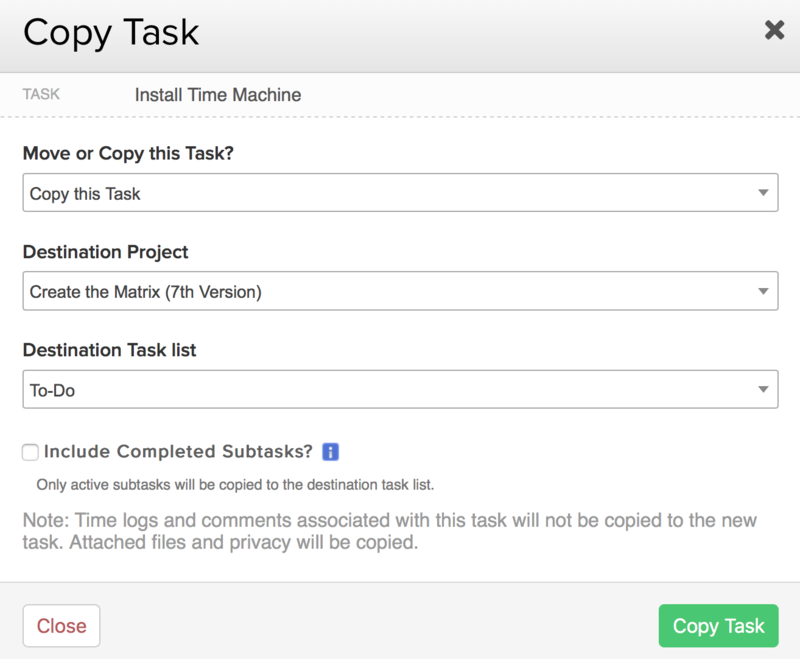 When choosing a destination task list to move/copy the task to, you can either select an existing task list or create a new task list from the move/copy task modal. When selecting the Add Task List option from the dropdown menu, a new window will appear to add the new task list details. Note: Any comments, time logs and files attached to the task will be moved with the task.